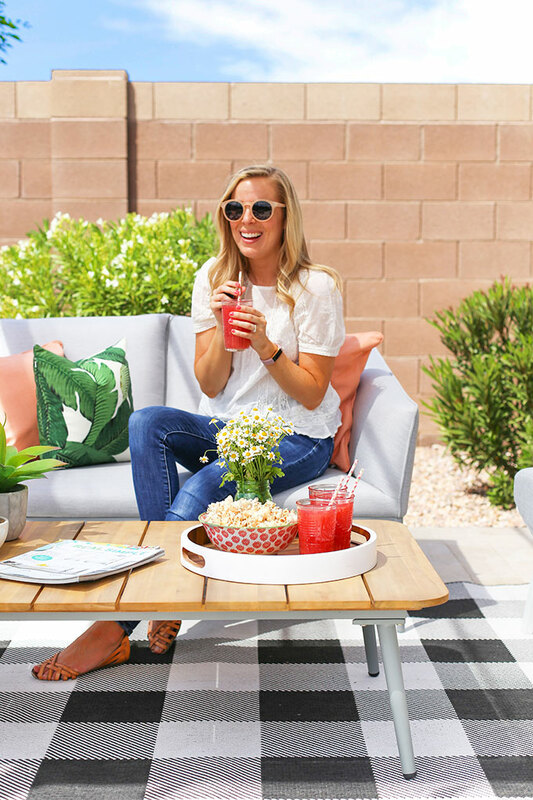 Our Outdoor Living Space – After hemming and hawing for a year, we found the PERFECT outdoor furniture to create a cozy outdoor living room we LOVE with Article. This post is written in partnership with Article. All opinions are my own. I’ve been BURSTING to share our latest home update with you! Grab a drink, don your sunglasses, and let’s jump in! One of the biggest draws to this home was its open floorplan. You can see a glimpse of it here, where the kitchen, living room, and dining area are all open and connected. It creates a light, open feel that’s so refreshing after years of small, dark apartments and rentals. The other element of an open layout we LOVE is that the living room has a 12 foot sliding door that opens all the way, extending the living room outside. 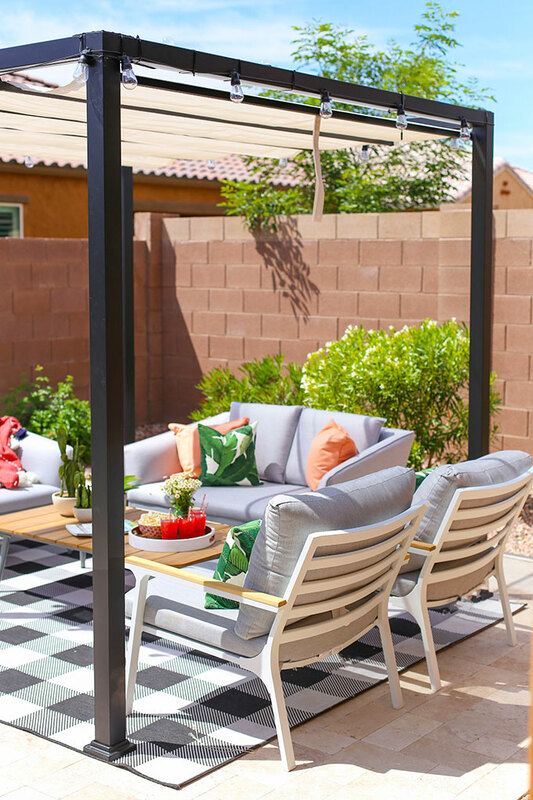 We’ve always envisioned being able to style the backyard as an extension of the living spaces inside, especially because you can see outside through that sliding door anytime you’re in the open living space. When we bought the home, the backyard was a cement patio and dirt. Last January, after over a year of saving and planning, we landscaped the backyard. There was a HUGE difference in the feel of the house. Looking out and seeing green space, travertine, trees, plants, and flowers instead of dirt and cement makes a HUGE difference! We had big plans to finish the outdoor spaces off with furniture and twinkle lights shortly after we landscaped. And then we couldn’t find any outdoor furniture that felt like US. 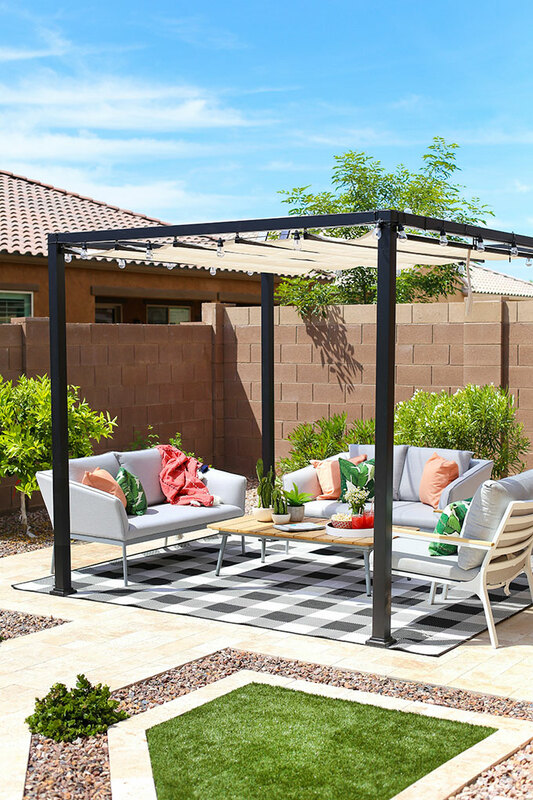 We wanted whatever we bought outside to have the same feel as what we use inside, since, visually, the outdoor spaces are an extension of the open living space inside. 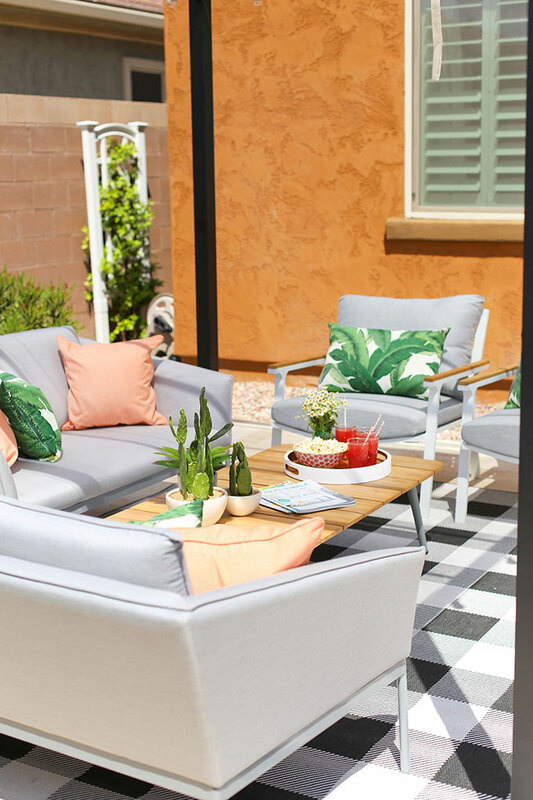 I was already in love with Article’s interior pieces–their Sven sofas are my FAVORITE (see why I love them here), and they just launched their new outdoor collections. First, they have a helpful design quiz to help you choose an outdoor style that fits what you’re looking for. 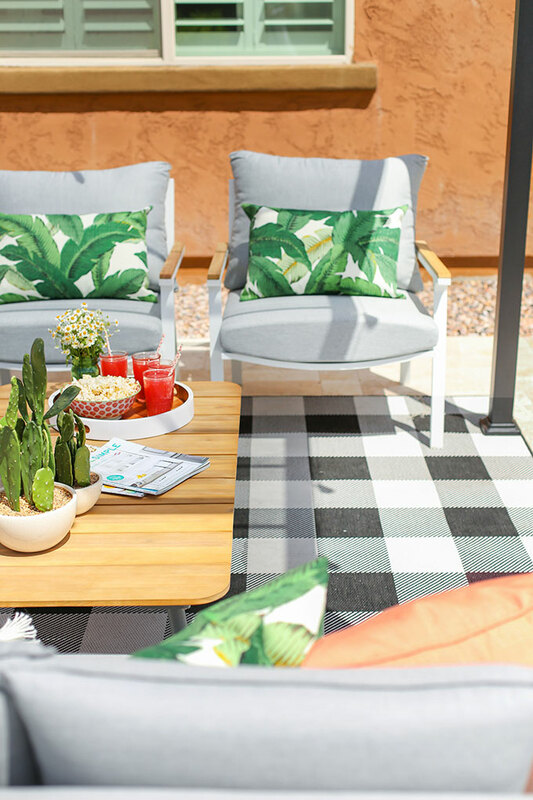 Then, they’ve curated three main outdoor collections–Garden Scandi, Industrial Pop, and Boho Patio. I love that you can mix and match pieces in each collection to design a cohesive look that’s unique to you. There are plenty of choices within each collection, so no two spaces need to be the same! There are GORGEOUS pieces from every collection (seriously, go look! ), but the Garden Scandi collection felt like the perfect extension of what we love inside. The pieces are a beautiful blend of neutral colors, clean lines, and natural materials–everything we love inside, too! PALO PALOMA GRAY SOFAS. The Palo Paloma Gray Sofas we chose are perfect. They are lightweight enough that I can move them around when I want to rearrange things, but sturdy enough to hold up to some extra love from my busy, bustling children. The grey is GORGEOUS, and the perfect backdrop for all sorts of accessories. I also love that the Palo Paloma Gray Sofas are a bit wider than many “loveseat” style sofas you see, which means they’re roomy enough to squeeze two adults and a child or two at a time, or have plenty of room to kick back and relax on your own. This style also comes in a gorgeous larger sectional sofa, if you’re looking for something larger, and even come in a really chic dark charcoal color, too. LATTA COFFEE TABLE IN BEACH SAND. 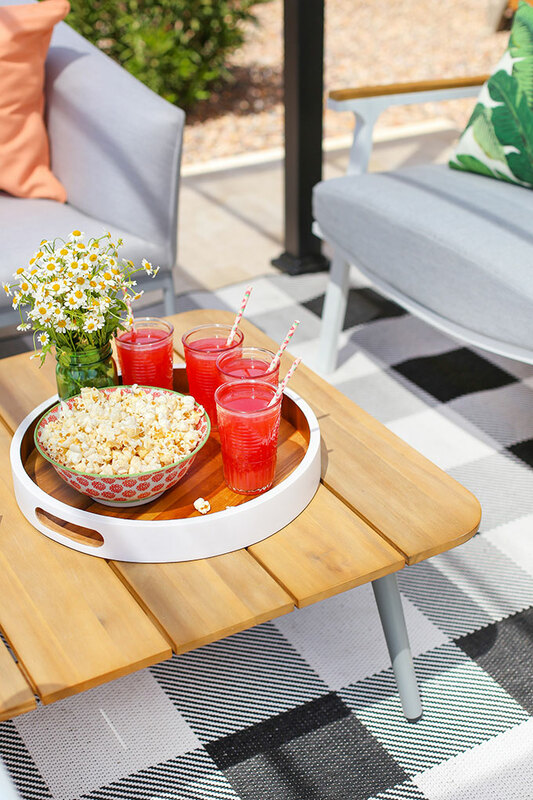 Speaking of which, we ordered the Latta Beach Sand Coffee Table for drinks, games, and food. 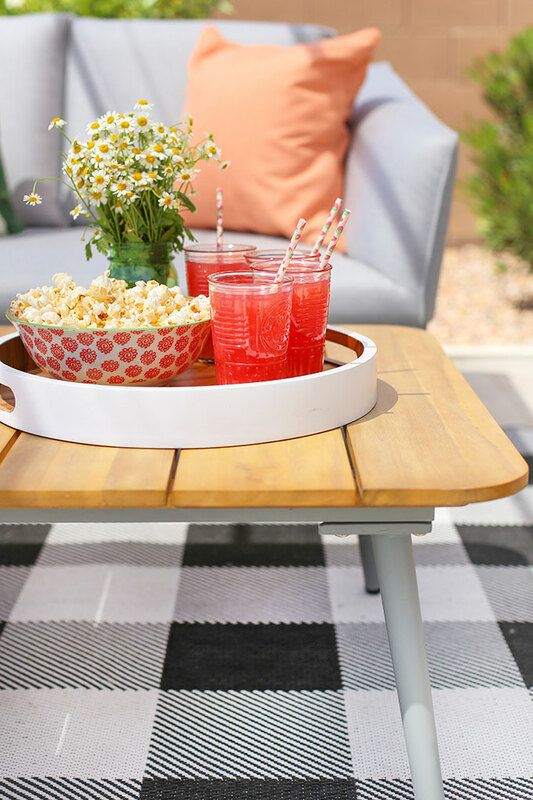 It’s the perfect place to set down your book, set up a board game, or lay out the snacks or treats. You could tie things together in another area with their pretty Latta dining table, too! MIX & MATCH TO CREATE YOUR OWN LOOK. Since all the pieces are from the same collection, they can be easily combined to create a coordinated (but not too matchy-matchy!) look. I love the blend of clean lines, the elements of natural look wood, and the neutral colors that feel restful and light. Everything looks gorgeous! 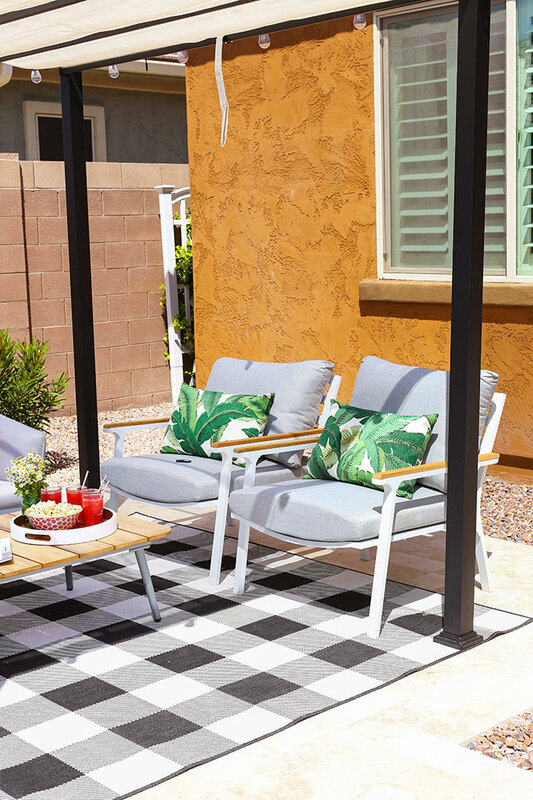 And, within our Garden Scandi collection, we could have easily added in things like these breezy lounge chairs, colorful side tables, or a sleek, sophisticated rocker. WEATHER RESISTANT MATERIALS AND EASY CARE. On our pieces, all the upholstery is wipe-able, the metals have a weather resistant powdered coating, and the wood is made to last. I love that all the cushions on our sofas and chairs are removable, so we can wipe everything down as needed. Plus, the sofas even came with covers, which makes them easy to keep clean and cared for. ONLINE FURNITURE SHOPPING MADE EASY. 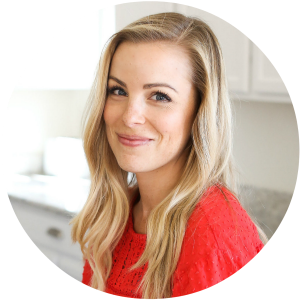 The *last* thing I want to do on the weekend, is to schlep everyone around from store to store, and Article makes it easy to shop online worry-free. They have a 30-day satisfaction guarantee, so you can try the items in your home with confidence. Plus, the prices stay lower because there’s no showroom markup! FREE SHIPPING & EASY RETURNS. I love that Article goes the extra mile, with flat rate shipping on orders less than $999 and free shipping on orders over $999. Plus, if you change your mind within 30 days, you can return everything easily. The return policy is great–they’ll pick up and refund your items if you change your mind, minus a delivery/pick-up charge (which is about $49 in most cases). 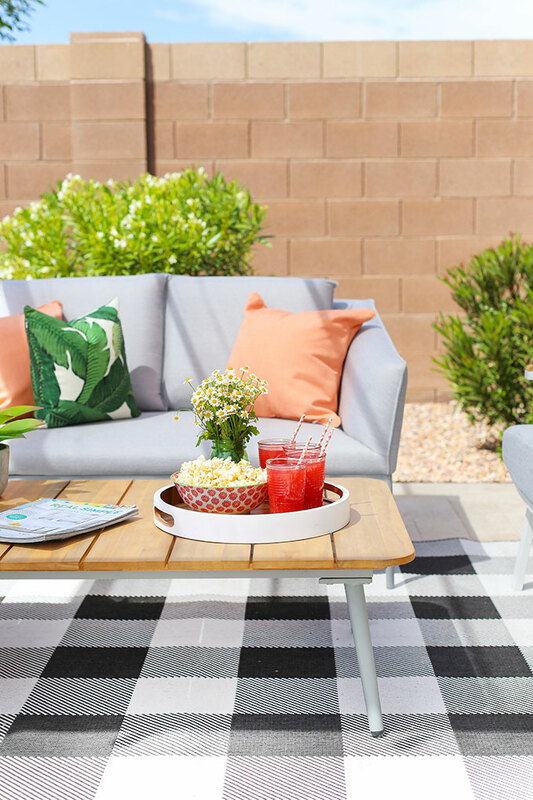 We LOVE what we came up with and really feel like our outdoor space is finally put together! And, if you need us, we’re probably outside. Thank you, Article! 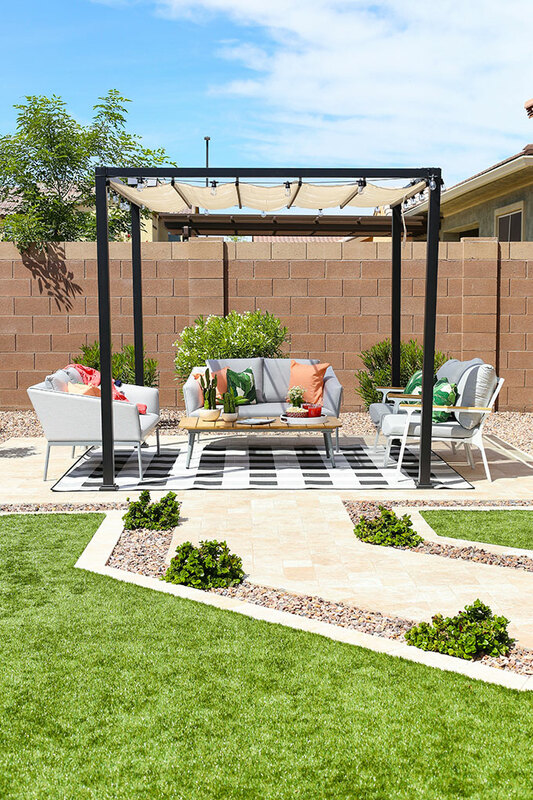 You can see all our outdoor pieces below, but don’t miss the other gorgeous pieces at article.com! 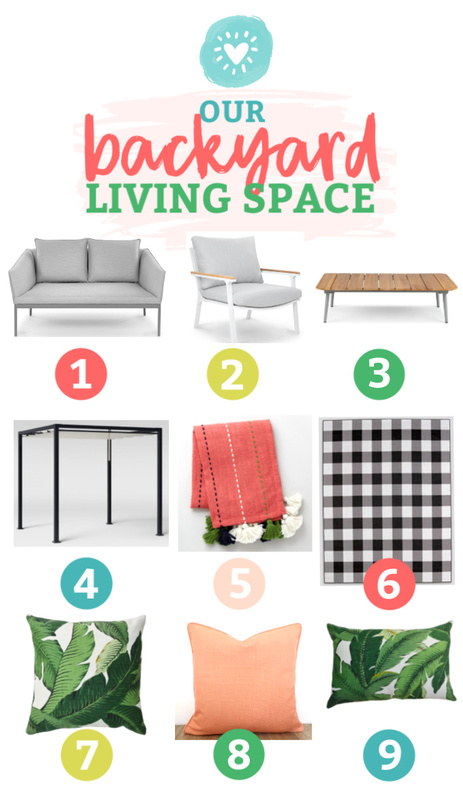 PS – Want to See More House Projects? It’s gorgeous! And you’ve totally nailed the ‘bringing the indoors, outdoors’ ! I love it and am SO happy for you! Thank you!!! I’m just SO happy with how it turned out! Just gorgeous. I hope you enjoy it! Thank you so much Teresa! We are LOVING it so far!! !